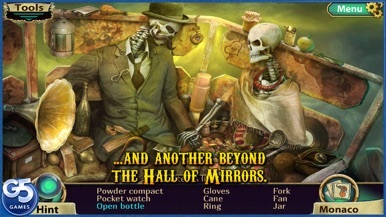 New improvements have been made to one of the most popular hidden object games! Come face-to-face with evil in this heart-pounding adventure! Published: 2013-04-04, by Peter Warrior. 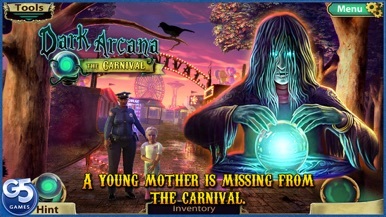 "Carnival of point and fear"
Although Dark Arcana can be summarized these four words: "point and click game"; and we can tell you in advance that it contributes little to the genre, it gathers the best of this kind of adventures and it does its best to prevent the usual flaws typical of them. It's about a mom and her kid lost and separated in an abandoned creepy house of horrors, and an old powerful wraith who still mourns his fiancée's death long time ago. 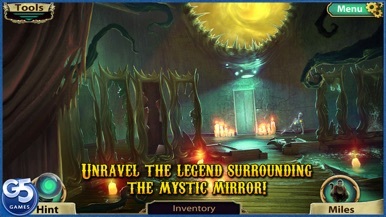 To twist it all, mirrors are gates to a Ravenloft-esque dimension where things aren't what they should be. Aside from highly detailed and gorgeous graphics, some objects move to avoid that feeling of playing over a static image, and cutscenes are deeply appreciated. 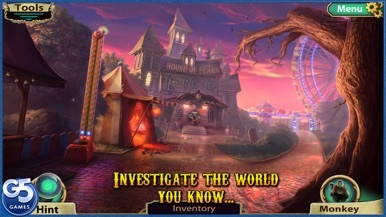 In addition, smart minigames make this game more varied and interesting, and a system of achievements keeps interest going. As there are three different difficulty modes, it can be played by children and adults alike. Game's free, but you'll only be allowed to play the first chapter: look for the paid version to unlock the rest of this long, enthralling adventure, suited for both newcomers to the genre or players already used to it. 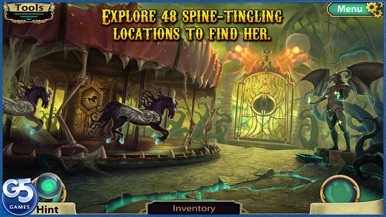 A macabre adventure suited for everyone. Although Dark Arcana can be summarized these four words: "point and click game"; and we can tell you in advance that it contributes little to the genre, it gathers the best of this kind of adventures and it does its best to prevent the usual flaws typical of them. It's about a mom and her kid lost and separa….